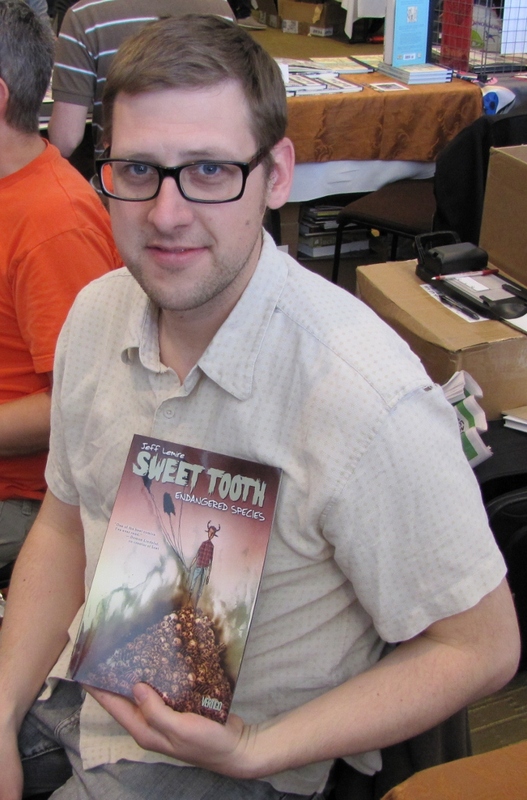 Congratulations to Jeff Lemire, who won the Best Newcomer at the Eagle Awards, presented earlier today at the MCM Expo in London. Also announced at the ceremony — the Eagle Awards name is being retired after this year in favour of the “MCM Expo Awards”. No other Canadian creators were nominated in 2012. No Canadians were nominated or won any Stan Lee Awards earlier in the month at the Kapow! comic con in London either, so they hardly get a mention here. Introduced in 1976, the Eagles are the comics industry’s longest established awards. Acknowledged as the pre-eminent international prizes, they have been featured on the covers of leading US and UK titles across the last 28 years ranging from Uncanny X-Men and Swamp Thing to MAD and 2000 AD. (i) A Nominations Form allows the entire comics community to choose their favourites. (ii) The top five nominations then appear on the voting form for the readers and fans to choose from, thus focusing the fans with no wasted votes. London MCM Expo is organized by the MCM Expo Group as one of a number of pop culture events in their portfolio. London’s Comic Con, it is supported by major media companies such as Universal, Twentieth Century Fox, Wizards of the Coast, Manga Entertainment, SFX and NEO to name but a few. Taking place each May and October at London’s massive Excel exhibition centre, the London MCM Expo is now the main focus and must-be event for UK fans and industry to attend to promote new releases and forthcoming productions whether comics, movies, videogames, DVDs or books. Over the last decade, the London MCM Expo has grown into the one UK show that is not to be missed. To find out more, visit: www.londonexpo.com.